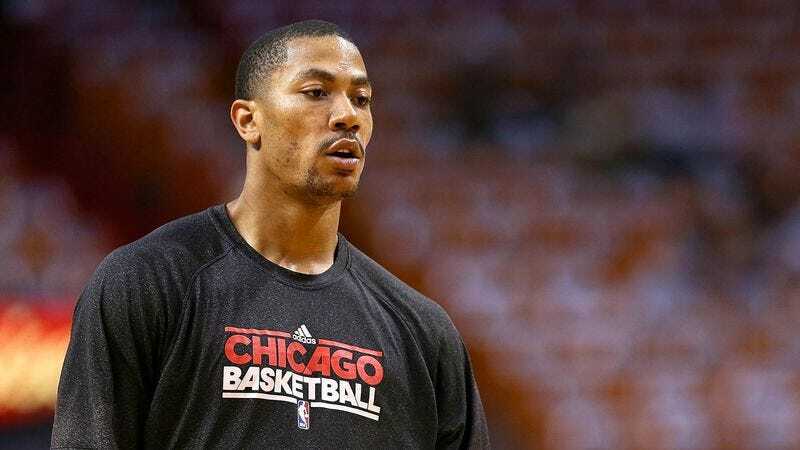 CHICAGO—Fourteen months after undergoing surgery to repair a torn ACL, Chicago Bulls point guard Derrick Rose told reporters Wednesday that he’s thinking about getting around to beginning rehabilitation on his knee sometime this summer. “I’ve enjoyed my time off, but I should probably get started soon if I still want to make it back by midseason,” said Rose, adding that with injuries it’s important to patiently wait for the first year or two before diving back into any activity whatsoever. “I don’t want to rush anything, but I guess I should begin those exercises where I can bend my knee and eventually walk again.” Rose, who admitted that he was enjoying the nice weather in Chicago, was reportedly leaning toward starting his physical therapy next year.